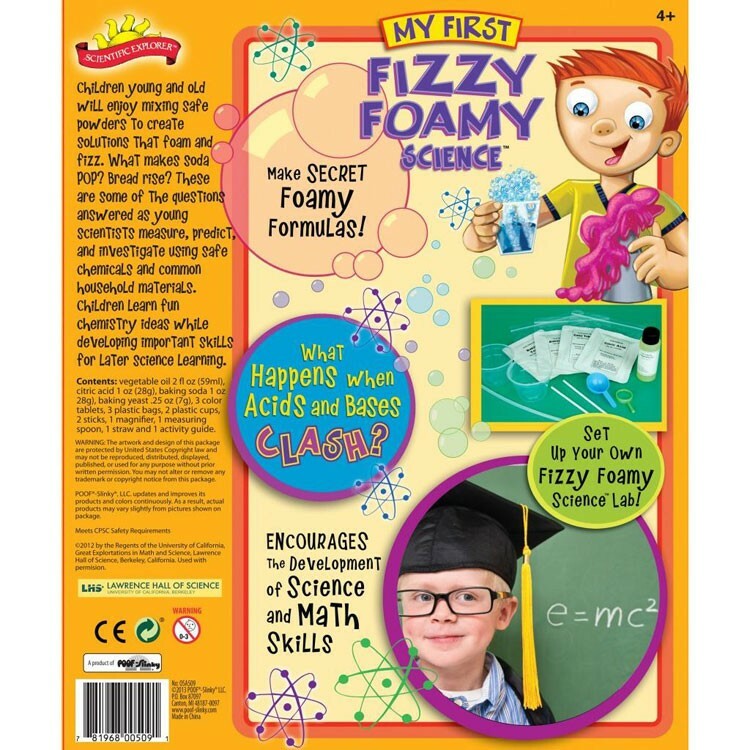 While experimenting with the Fizzy Foamy Science Kit, children will develop important science and investigation skills about acids, liquids, and chemical reactions. 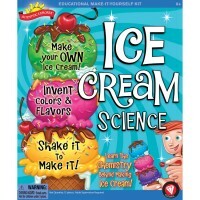 Calling all little scientists! 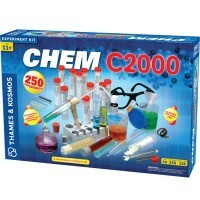 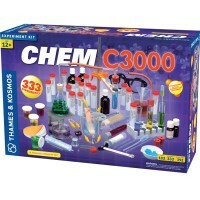 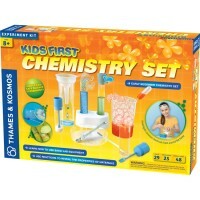 Educational Toys Planet now offers Fizzy Foamy Kids Science Kit, a science set by Scientific Explorer. 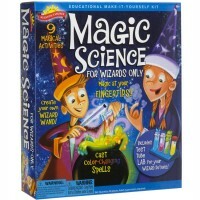 Now children of all ages can measure, mix, and experiment! 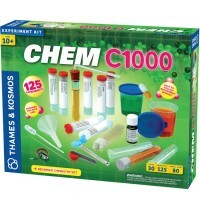 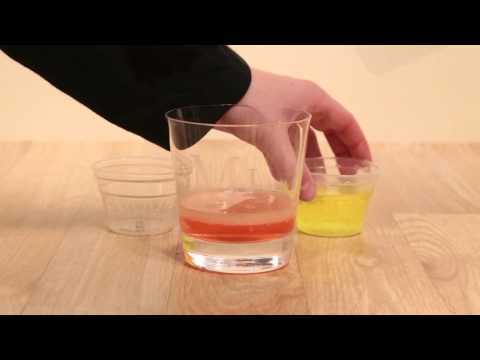 This fun chemistry kit includes tons of activities that require safe household ingredients. 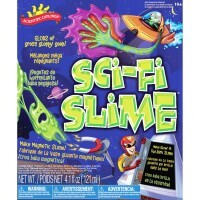 These nontoxic chemicals such as citric acid and baking soda combine to create crazy foaming results! 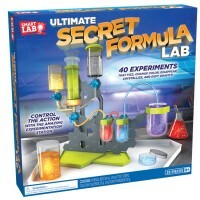 Turn your kitchen table into a laboratory perfect for an afternoon of fun that can spark a lifetime of learning. While experimenting with the Fizzy Foamy Kids Science Kit, children will develop important science and investigation skills about acids, liquids, and chemical reactions. 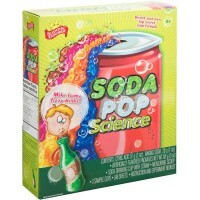 So gather your friends and get ready for colorful erupting foaming lava and other wild fizzy foamy reactions! 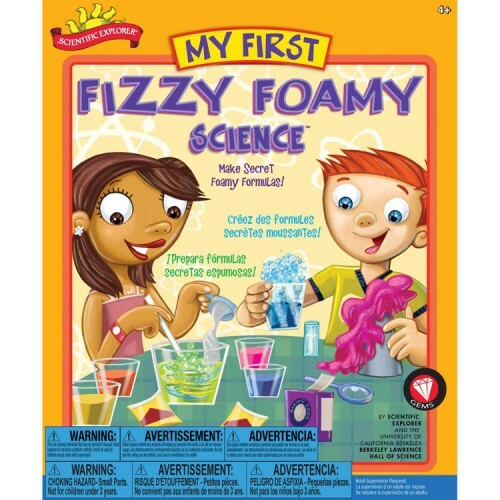 Dimensions of package 12" x 3" x 10"
Write your own review of Fizzy Foamy Kids Science Kit.